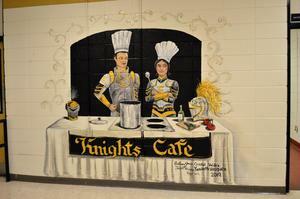 Cristal Valdez designed and painted a custom mural in the Evans High School cafeteria for her Senior Project community service hours. 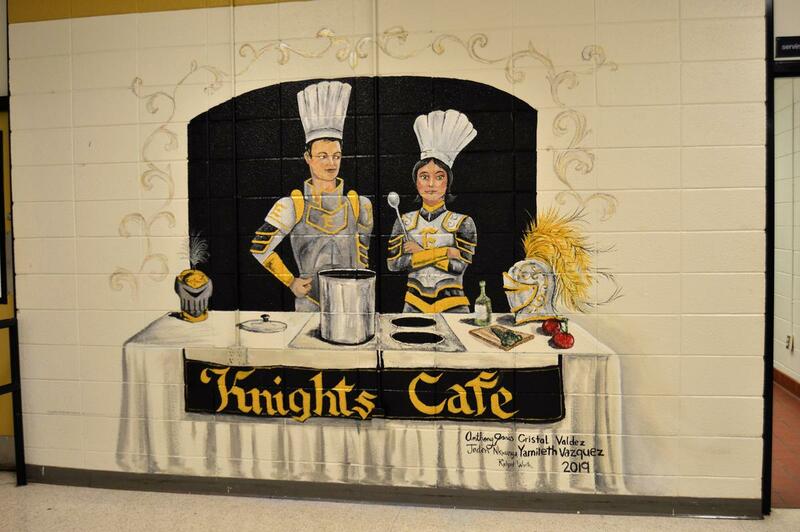 Along with Cristal, Anthony Jones, Jaden Nkwange, and Yamileth Vazquez helped complete the mural with guidance from mentors Mr. Richard Worth and Mr. Raymond Sturkey. The skills developed throughout the Senior Project are utilized in countless ways and allow students to showcase their talents and to reflect on who they are while showing what they want to do.